The SPG International EFT-2605 26-Inch 5-Drawer Tool Chest is a terrific economically priced tool storage option. This unit features compound friction drawer slides, a high gloss powder coat scratch-resistant paint finish and internal locking mechanism. 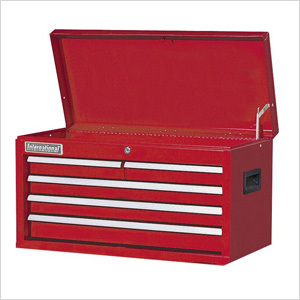 This tool chest is a great option for the do-it-yourselfer who needs a basic tool storage option.